General information on using the dtSearch Engine with Azure and AWS, including platform requirements, index storage and and data storage. 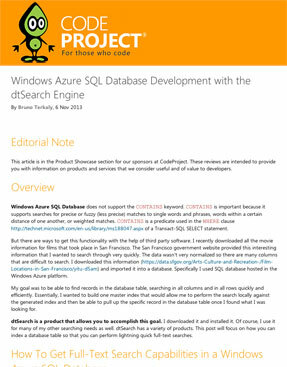 CodeProject article: "The article brings together the Microsoft Azure Cloud with dtSearch to enable secure hosting of terabytes of a broad spectrum of data types combined with instant dtSearch search access from nearly any computer or device"
In this .NET solution, all dtSearch components (including indexes) are cloud-based. 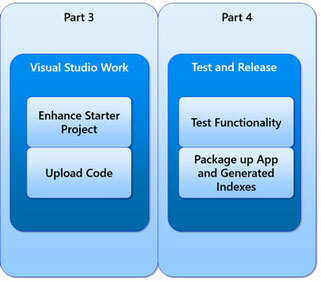 Azure Files stores the dtSearch indexes. Azure Files lets you share data across any number of applications through the SMB (Server Message Block) protocol. Using dtSearch and the techniques in this article will make your data searches lightning fast, making it possible to search terabytes of data with sub-second response time. But first, two preliminary notes about this blog post. (1) The blog post describes source code data, but the same approach would apply to other data stored in the Microsoft Azure cloud: HTML, XML, MS Office documents -- even email data. (2) While the data in this blog post resides in the Microsoft Azure cloud, the indexes are on a local PC. A subsequent article will address data and indexes in the cloud. Windows Azure SQL Database does not support the CONTAINS keyword. CONTAINS is important because it supports searches for precise or fuzzy (less precise) matches to single words and phrases, words within a certain distance of one another, or weighted matches. CONTAINS is a predicate used in the WHERE clause of a Transact-SQL SELECT statement. But there are ways to get this functionality with the help of third party software. I recently downloaded all the movie information for films that took place in San Francisco. The San Francisco government website provided this interesting information that I wanted to search through very quickly. The data wasn't very normalized so there are many columns that are difficult to search. I downloaded this information and imported it into a database. 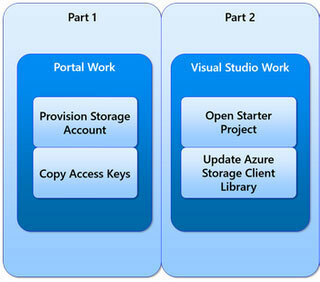 Specifically I used SQL database hosted in the Windows Azure platform. My goal was to be able to find records in the database table, searching in all columns and in all rows quickly and efficiently. Essentially, I wanted to build one master index that would allow me to perform the search locally against the generated index and then be able to pull up the specific record in the database table once I found what I was looking for. dtSearch is a product that allows you to accomplish this goal. I downloaded it and installed it. Of course, I use it for many of my other searching needs as well. dtSearch has a variety of products. This post will focus on how you can index a database table so that you can perform lightning quick full-text searches.